Countyimports.com is your dealer and go between with the MFG for parts. We are not the Manufacturor. This is important to note that we simply facilitate the customer with claims. In other words, we are guiding the customers via the rules set by the MFG. If you are filing a warranty claim for a part of a machine you have purchased from us you must understand as per the MFG warranty, terms of agreement and general business practice you must have your vechicle's mechanical issue's verified by a certified brick and mortar machanic to validate your warranty claim. Countyimports.com will replace any parts needed if verification can be provided to the FAX number below. If you do not have a service center in your area and cannot provide this information as required under the terms of service you will be required to pay for the part. This is because many people are not mechanics and we will not simply send a part out that has not been validated by a mechanic that it is the actual part needed. If you do have a certified letter from your local mechanic of the parts needed we will under the warranty terms send you the parts needed under the MFG warranty. If this letter is not provided you can order your parts by emailing service@countyimports.com, please include your countyimports order ID and any other information such as pictures and or part numbers that will help us to expedite your claim.The following must be completed in order for your warranty claim to be approved in an expeditious manner. Please always remember, we are here to help make your online experience a pleasant one with us. By following these rules as stated in the terms of agreement as well from the initial purchase, we will be able to process your claims MUCH faster! Any questions? 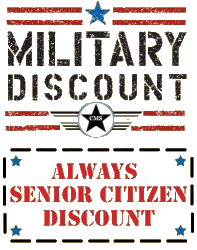 Call us 877-300-8707. 1. Defective parts under warranty must be validated by a local -brick and mortar dealer- in your area. This is non-negotiable. Being a mechanic personally or a friend in the business will not satisfy the manufacturor. As in the auto industry, a friend cannot provide warranty work for products. Thus, if your "starter" is bad, you must have a licensed brick and mortar dealer put on company letterhead the problem so that our staff can swiftly assist you. SHIPPING IS NOT FREE: Because countyimports.com is an online company and our prices overall are literally 100's if not 1000's less. BWMS policy for warranty parts is shipping must be paid as the MFG does NOT cover shipping on parts under warranty either. This means it is the responsibility of the customer to pay for shipping of the free part. You are welcome to visit our store location and take parts free of charge under warranty however if you are not local shipping will be collected at time of claim. Shipping is roughly about $25.00 on avarage for priority mail. This is also in the purchaser terms of agreement. Please understand this policy is to protect the company bottom line to ensure our survival as well. Take care of your dealer so they can take care of you! Please contact us with any questions. HOW TO PROPERLY FILE A WARRANTY CLAIM. 5. USE OUR PARTS WEBSITE IF POSSIBLE TO PROVIDE PART NUMBERS TO ENSURE CORRECT PARTS ARE SENT. NOTE: If you have filed a warranty or claim recently and would like status please email service@countyimports.com for status update. Please email vs phone calls when possible for tracking as well as busy systems during busy seasons. Thank you! This is a list of possible locations that may service your purchase in your area. This list is not necessarily a BWMS dealer however we have found many do sell and service the same products we carry. Please note as stated in the purchase terms. 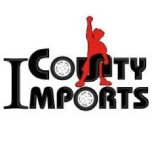 If there is not a dealer in your area we do not suggest purchasing a Countyimports.com product as all vehicles at one point or another need service. If you cannot locate a dealer and cannot perform the service and warranty work yourself please consider your options as we are located in Santee CA. If you have questions please call us M-F 9-5 PST.